Per USA Hockey and MAHA: Starting with 2010/2011 season, youth hockey player cell phones are not allowed in any locker room. With most kids having cell phones with cameras, there is a risk of inappropriate photos being taken and possibly being posted on the web. Hopefully, by keeping the phones out of the locker rooms, this can be avoided. GTHA is taking this a step further and added to the policy by specifically saying any device capable of taking pictures or video are prohibited from the locker rooms. GTHA thanks you for your understanding and cooperating with this new national rule. 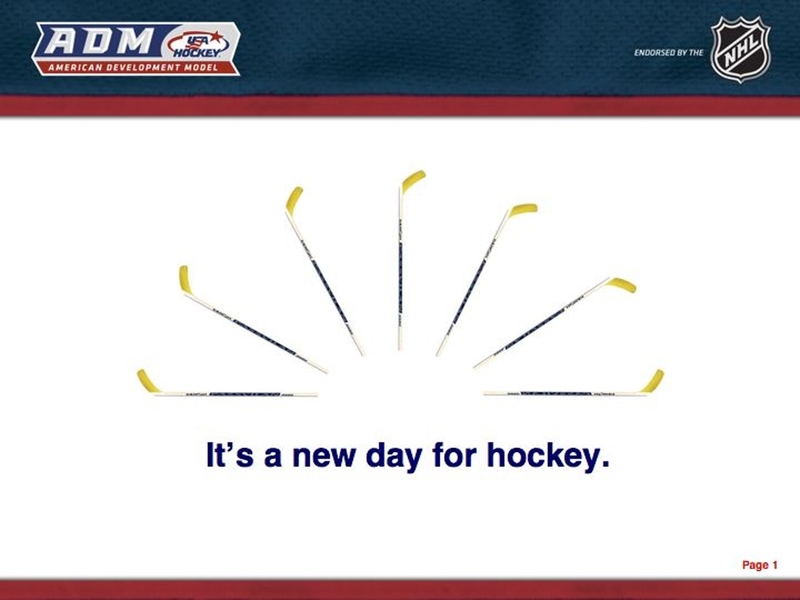 The is the lastest video produced by USA Hockey describing the Cross-Ice Program. GTHA is implementing the ADM model for all Mites. please click on the image to the right.